As open source software rapidly becomes a mainstay in the development of applications and devices, companies need to be more aware of adherence to licensing compliance and export disclosure requirements to avoid the risks of fees and fines, business disruption, and lawsuits. This paper sets forth several important practices for meeting legal requirements that can also help control costs and reduce risks. 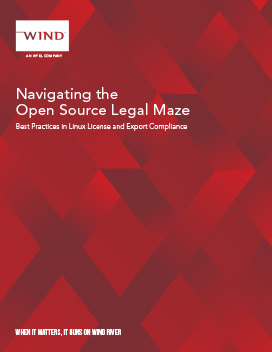 The percentage of open source software (OSS) in commercial software solutions is growing rapidly, but the legal maze for releasing and exporting these products is still as intricate as it was 25 years ago.